Mana Azarmi is a Policy Counsel with CDT’s Freedom, Security and Technology Project. 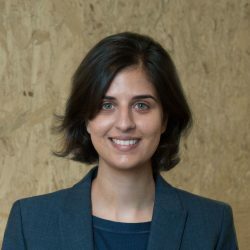 During law school Mana worked on projects related to fully autonomous weapons and IMSI-catchers with the International Human Rights Clinic, and on asylum cases, and immigration policy and litigation with the Harvard Immigration and Refugee Clinic and Crimmigration Clinic. Mana received two bachelor’s degrees in International Relations and Political Science from UC Davis and her J.D. from Harvard Law School.